At Mahogany, find the high-end ladies’ cashmere jumper that suits you! 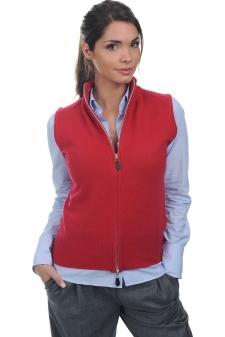 The ultra-stylish ladies’ cashmere jumper! The ultra-stylish ladies’ cashmere jumper! 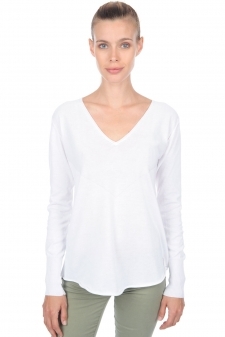 Find your women’s cashmere jumper from the huge assortment by Mahogany! A promise of quality and comfort. Give in to the incomparably soft touch of this noble material, our elegant shapes and our wide range of colours! Quality is essential at Mahogany: from the selection of the goats for their hair, to manufacturing, to the end product. In fact, the best quality fibres are obtained thanks to herds in Mongolia and the Chinese province of Inner Mongolia. The goats produce the cashmere duvet to resist the cold climate of Himalayan winters, and it is then collected in the spring. Only the softest hair will be kept. To make your ladies’ cashmere jumper , we use the finest and longest hair. At Mahogany we do not bleach any of the hair, only the whitest hair is used. For each new collection, our internal design office creates a large variety of models of women's cashmere jumpers. Discover the variety of the different thicknesses, colours and necklines now! Specialists in our field, we have the know-how to offer knits from 2-ply to 24-ply! Plain and semi plain ladies’ cashmere jumpers will form your wardrobe basics. Prints, jacquard, intarsia and embellishments will brighten up your outfit with originality. Give in also to our knitted patterns, ribs or cable-knits! Our factory and partner since the beginning is situated in Nepal. 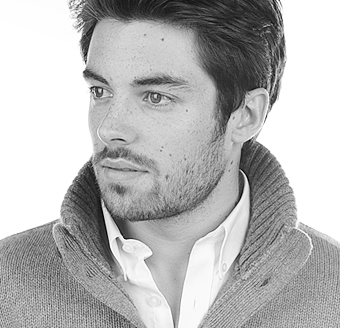 We were convinced by its commitment to its employees and its expertise in the cashmere sector. The teams combine ancestral techniques and high technology with ease and skill. Our women's cashmere jumpers are knitted there manually and individually on a machine. Numerous finishing details are hand-made, such as decreasing or neck detail finishing.